I love Chris Parnell. He is like white wine vinegar, he brightens the whole recipe. He is like a chili pepper in the chili – you miss it when it is not there. He, much like Vince Vaughn should just make an appearance in every movie. Anchorman: The Legend of Ron Burgundy – As you can see below, this is the clip that I included. Garth is one of my favorite characters in Anchorman. His disappointment in Ron is the perfect peak to that scene. Saturday Night Live – There is something about Chris Parnell in SNL that just works. His characters ring true and they are solid evergreen material for a show that I don’t like that much anymore. The Ridiculous 6 – Despise this movie as much as you want but I dare you to prove to me that it is not funny. 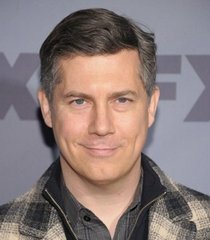 Chris Parnell’s role is not huge but he kills it. Archer – I have watched through the whole series several times and it gets better each time I watch it. Parnell kills as Figis. That is all. To be a teacher you have to have a very giving, selfless personality. I don’t think I’m that selfless and giving.